If nothing is done to protect the ruins — already neglected and worn by time — they will fade into dust and obscurity. 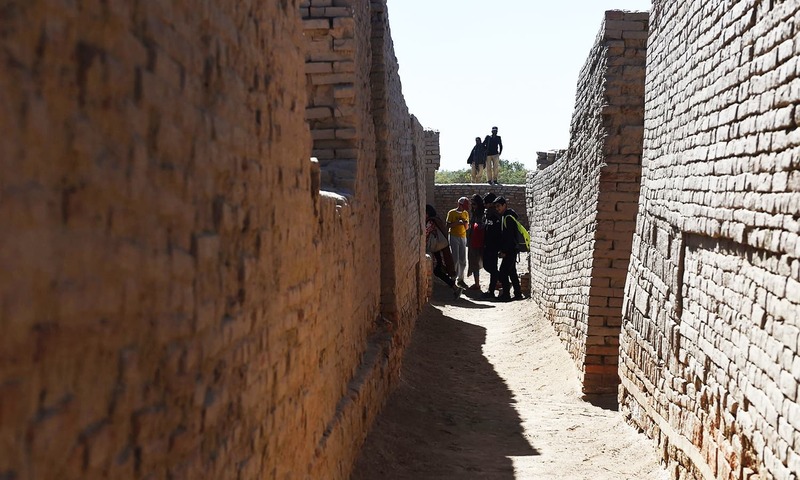 The centre of a powerful ancient civilisation, Mohenjo Daro was one of the world's earliest cities — a Bronze Age metropolis boasting flush toilets and a water and waste system to rival many in modern Pakistan. But they warn, if nothing is done to protect the ruins — already neglected and worn by time — they will fade to dust and obscurity, never taking their rightful place in history. 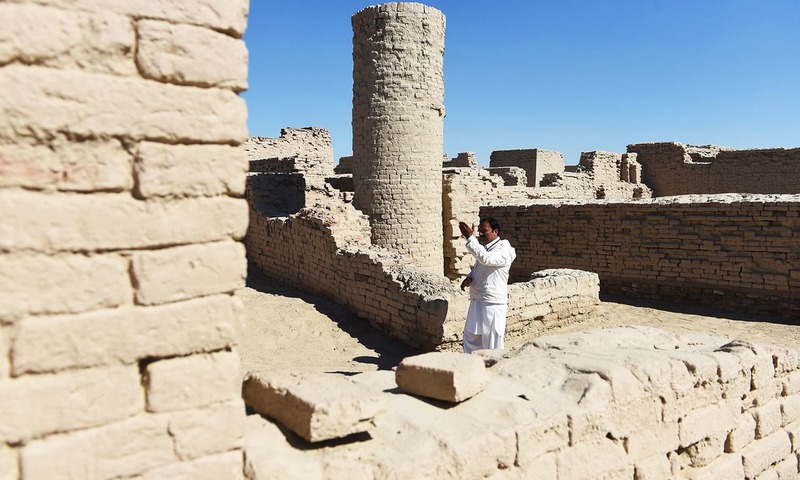 “Everybody knows Egypt, nobody knows Mohenjo Daro, this has to be changed,” says Dr Michael Jansen, a German researcher working at the sun-baked site on the banks of the Indus river in Pakistan's southern Sindh province. In summer temperatures can soar above 46°C. 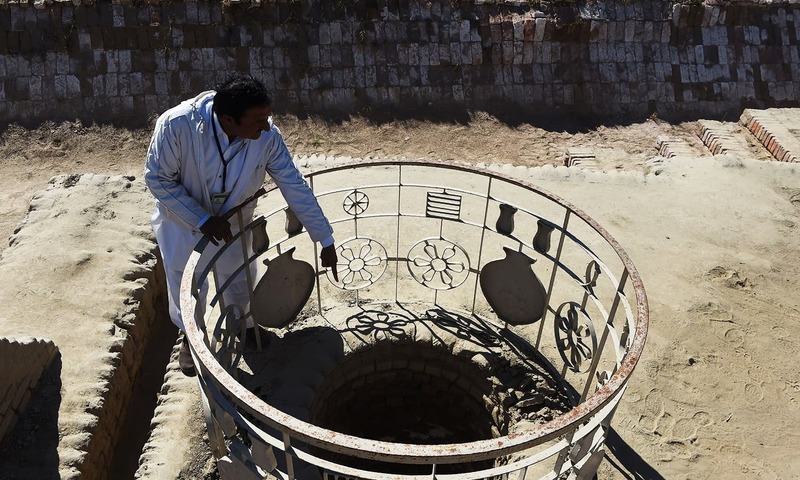 “There is enormous thermo-stress,” says Jansen, adding that salt from the underground water table is also damaging the ruins. Most horrifying, however, is the wanton disregard for Mohenjo Daro -- or “mound of the dead” -- by ordinary citizens. Sardar Ali Shah, cultural minister in Sindh province, vowed never to let such a thing happen again. “It's like you are jumping on the bed bed of a 5,000-year-old ailing patient,” he tells AFP. 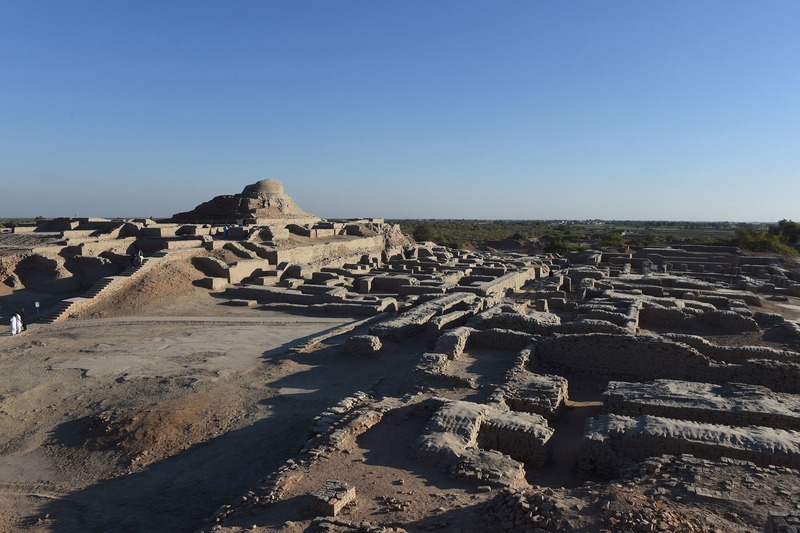 Dr Kaleem Lashari, chief consultant to the Pakistani government over Mohenjo Daro, said they will also digitally archive the Indus script -- which has never been deciphered -- in hopes that making it accessible will increase the site's profile. “Foreigners are afraid to visit Pakistan and the site because of the chronic issue of law and order,” he warns. 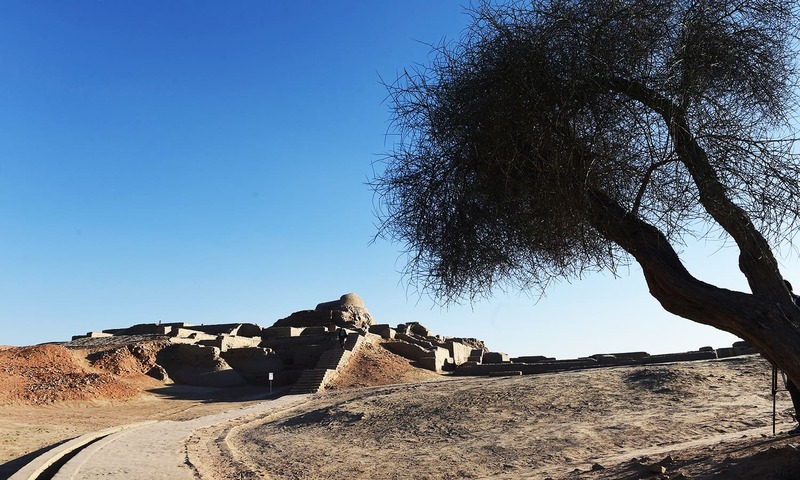 “In Mesopotamia, the streets went from the city to the palace ... whereas in (Indus) cities all the streets were organised to allow access to the whole city,” he says. None of this, however,has yet explained why such a powerful, advanced and flourishing civilisation disappeared so abruptly around 1900 BC. Currently, there is no bid to excavate further among the plans being laid by Lashari and Jansen. “It is actually preserved when it is buried,” explains Harvard University's Dr Richard Meadow. We are (govt. 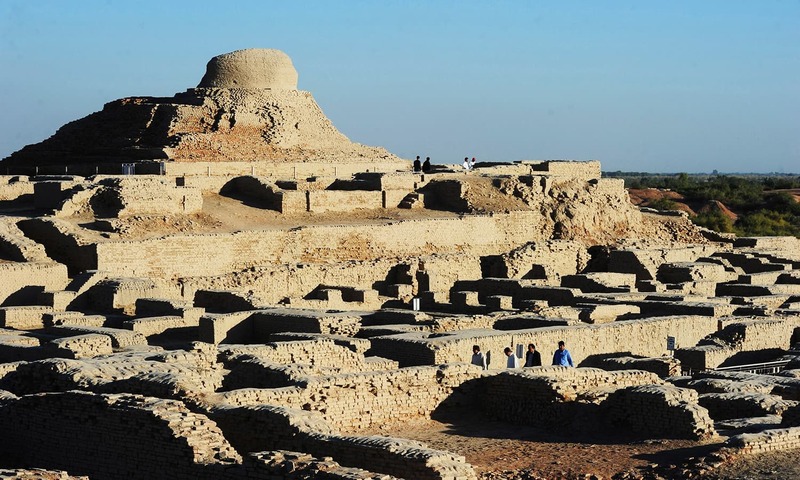 of Sindh) ruining new 20th century cities, how they can protect 5000 years old ancient city? I wish to visit this site from where India and Hinduism started its journey. It is good to see that officials are somewhat identifying themselves with this history otherwise, most of the people do not know exact history of the region prior to 1947. Pakistan can't even take care of existing places & marvels but want to add new. What a disheartening thing to read the condition of such an old heritage. Beautiful. But can expect it from Sindh government. They are not able to set Karachi garbage free. What will they do for the Mohenjo-Daro. Maybe Nawaz Sharif can do something to protect the legacy of our motherland. Bronze Age Mohenjo Daro (Indus valley civilisation) people moved towards South-India, Bengal region due to climate change. Modern descendants of Mohenjo Daro people not live in Sindh. @M. Emad I am surprised.You are from Pakistan and you don't know History of Pakistan? 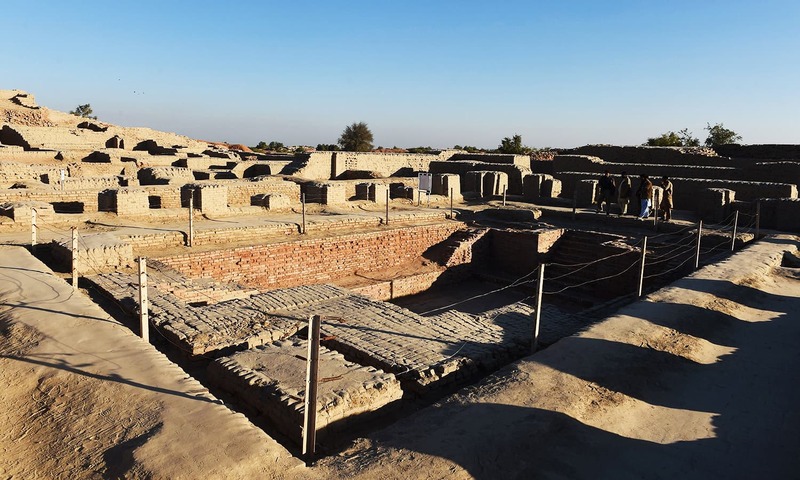 Government won't do anything about it, all that is left of Moen-jo-Daro is;its chapter in history books and couple of blogs here and there. 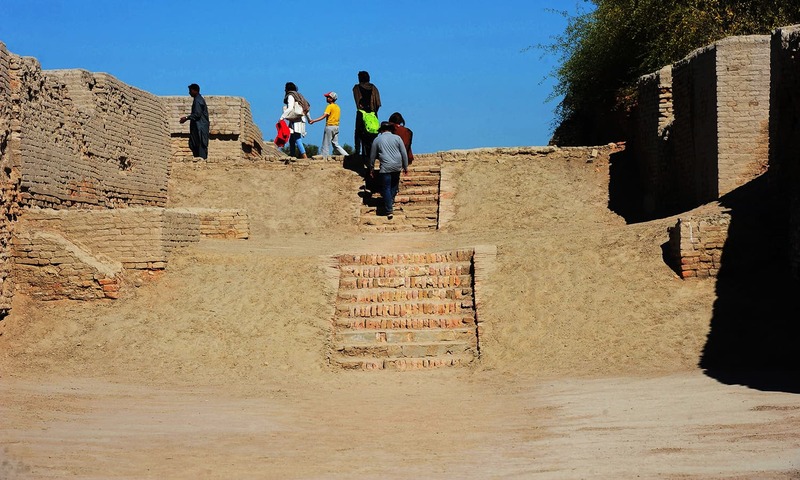 Mohenjo-Daro can be made a tourist paradise. People from the world over would love to see a 5000 year old civilisation but we'll preserved.Of course it would require pain staking efforts to attract tourists. Today the " Hanging Gardens of Babylon are just a memory with hardly any trace on the ground. Mahenjo- Daro need not meet the same fate. 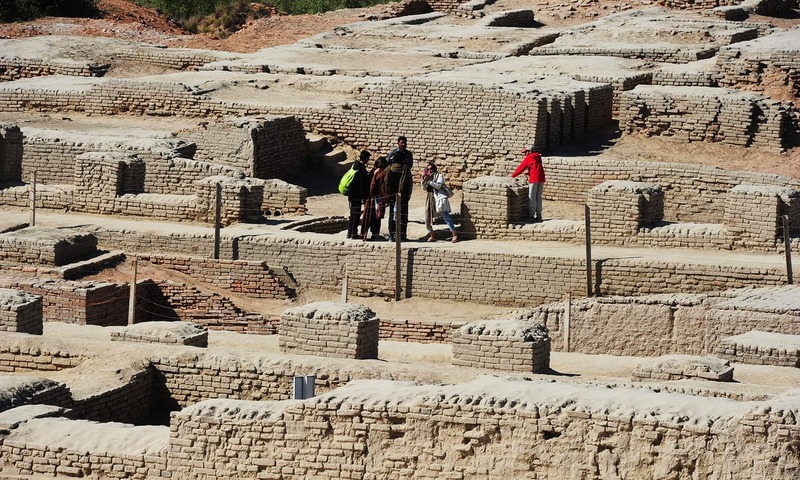 The best foolproof way to save Mohenjo Daro for future generations is to cover it up again. Is there any society who are raising fund to save Mohenjo-Daro? If there is please let the common people know. What a rich history we Sindhi have, we are proud to be a Sindhi our Sindh government should take care of this world heritage. Where spirituality came into being. These sacred banks of Sindhu river, desert and her children showed the world the definition of civilization. Everyone in the world specially my Indian family should visit this sacred Sindh once in their life. It is where it all began for India and Hinduism. Proud of our Sindhu Dharti we are all Children of Sindhu Mataa always and always. May the Sindhu Dharti and her winds spread the message of love to all her Children specially India and Pakistan. I pray today that we all come together in love and one day my Indian family can come and meditate with me in the deserts of Sindhu Dharti. Love, love and love to all from Sindh, Pakistan. I really wanted to visit Pakistan from quite sometime, and this is one of the major reason for that. Just afraid that the present political situation may create some problem for me, specially considering my background. Hope one day this situation will improve so we common man can visit each others place. Great, so now Indian tourists as well as Pakistani ones can damage and litter the precious site! Religious/Spiritual visa trip we see many Hindu families from India come and visit Pakistan, those special sacred souls like Lord Shiva's devotes for Shivratri Celebration, Sikhs Pilgrims visit Pakistan in throngs every year. List Mohenjo-Daro etc., and other places you want to visit on the Pakistani Visa form, so you can have a detailed trip. Great to see this historical place of our ancestors in pictures. This is the only civilization which still has followers flourishing vedic or Hindu civilization . Traces of their rituals can still be tracked in our practice . Proud to be having great ancestors..
@Zubair My dream all my life is to visit Pakistan and I'm afraid it will remain just a dream. After visiting Pompei, Italy and Egypt I feel sad I can't visit place like mohenjo daro. 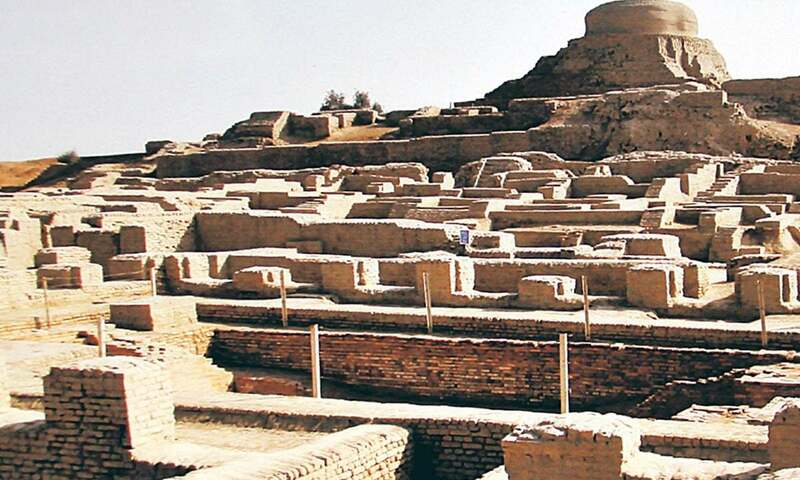 Mohenjo Daro even 5000 years back, was a city which was incredibly well planned with proper houses, markets, roads and sanitation. What needs to be saved are present day cities, which our governments have 'failed' to provide proper city planning, housing, roads, sanitation and green spaces? Our ignorant politicians must learn from Mohenjo Daro. @IMTIAZ ALI KHAN : I appreciate your beautiful words. We are all the people of Indus Civilization. This is 8,000 years old,it predates Hinduism. This civilization according to finding by European Archeologists that it was the first in the world to practice true democracy as opposed the Athenian democracy and later used as a subjugation tool of natives in colonies of the Europeans. A moot point that the European countries had jury system but in colonies they had Assessor System that the Colonial Judge had all the the rights to over rule the Assessors. Pakistan can never be a country of the Arabs for they will always will be the people of the Indus and genes will prove that. It has been previously and currently being noticed that people of certain beliefs are revisionist of the history be by neglect or by destruction. @M. Emad I agree, this is documented in some references that original inhabitants have moved to various parts of India, due to water bed going low. So people today in Pakistan Sindh are not same people of Indus valley residents. 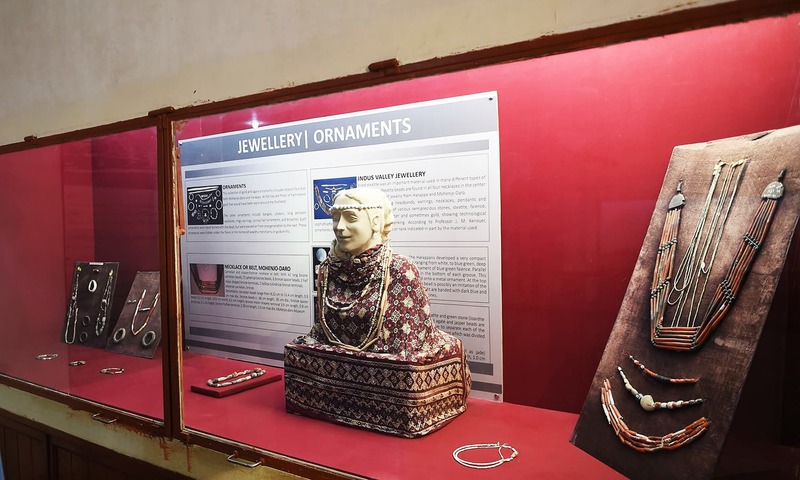 If Pakistanis connect with this heritage, domestic tourism would have thrived here. Can I get a visa to visit this wonderful, ancient place? I am interested in an Indus Valley tour. How can I get more information? One clarification in the article that the central place was not a palace or place of worship but a large public bath is partially due to the European view perhaps based on Roman baths. If you associate that with the Theppakulams found in Dravidian temples, it is likely that this "bath" was most probably associated with a place of worship. Further excavation and preservation can yield a great deal. 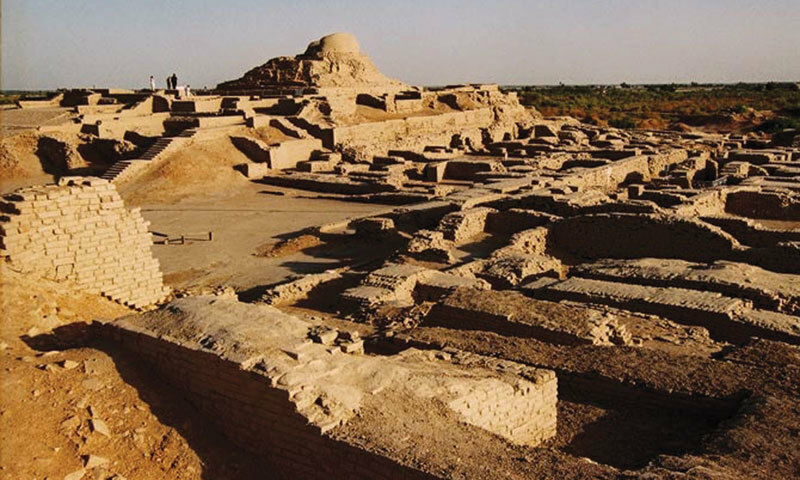 @Sky How strange.You are also from Pakistan and you also don't know the History of Pakistan.Read the History and be proud of Sindhis the original Inhabitants of this Great Civilization the Moenjodaro discovered in 1922 in Sindh. @M. Emad - So u admit that ur origin is from Pakistan.